Lots of brands are implementing Instagram best practices and finding success on the platform, in fact, there’s great potential for social media success here. Instagram users interact with brands at a rate more than 4% higher than Facebook or Twitter users, which translates into 58 times more user engagement per follower than Facebook and 120 times more engagement per follower than Twitter. 1 Here’s a selection of brands that have proven to be particularly creative and effective in their Instagram marketing efforts. The French luxury cosmetics brand, known for manufacturing the first lipstick in the late 19th century, sought to market their iconic bronzing powder “Terracotta de Guerlain” to a younger audience through social media. Together with digital marketers Mazarine and Performics, the company developed a 4-week Instagram photo campaign targeting women in France by emphasizing the connection between the “Terracotta” and Paris—both representing French elegance, glamour, and sophistication. 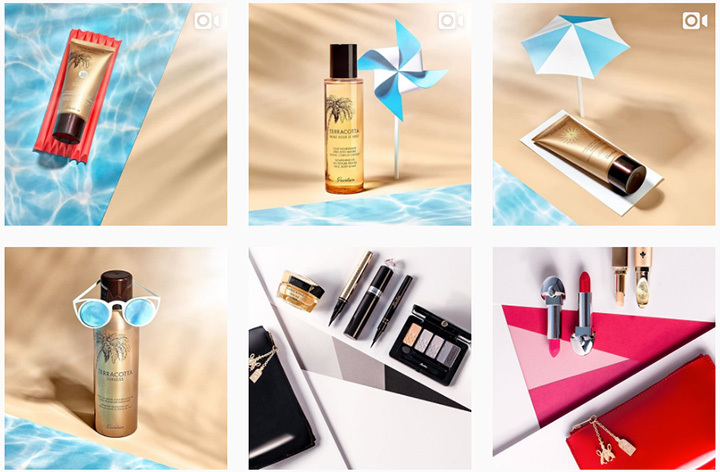 Why It Worked: According to a Nielsen Brand Effect study, Guerlain’s Instagram campaign was quite a success: it reached 965,000 women, increased ad recall by 23 points, and grew campaign awareness by 15 points. The campaign worked because it spoke directly to their customers’ desires and aesthetic, and was presented on the major platform for fashion and beauty brands. Why It Worked: The brand cleverly appealed to Instagram’s user base of aspiring models—who broadly use the platform as a basis for self-promotion—and provided exciting opportunities for that audience. Out of the 70,000 submissions, 30 were flown in from around the world to be photographed, while two were chosen to be featured in the Fall 2014 campaign and in Teen Vogue. 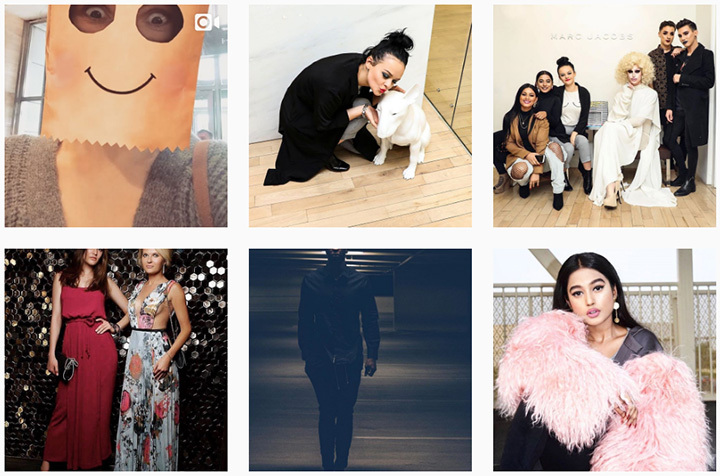 Marc by Marc Jacobs is the designer’s younger, more affordable brand, which makes it the perfect fit for such a highly engaging Instagram marketing strategy. The Canadian airline added several new destinations, such as Panama and Rio de Janeiro, in 2015. 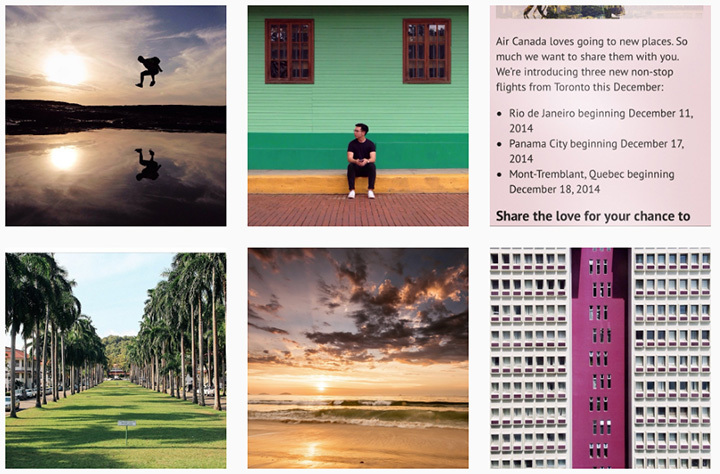 To advertise these new routes, Air Canada turned to Instagram for a campaign that took maximum advantage of some of the app’s largest appeals—social media influencers and travel photography. The carrier sent Instagram “celebrities” like photographers and bloggers to their newly added destinations to post pictures of the local scenery and culture. Why It Worked: Air Canada indeed managed to capture the distinct aesthetic of Instagram: compelling subjects, interesting angles, and artsy filters. As a result, the campaign reached a 29-point lift in ad recall and a 4-point lift in message association. Boasting one of the largest followings on Instagram, the fast fashion giant devised an especially original and artful marketing maneuver in 2015. Brooklyn-based hardware production team Breakfast built a 2,000 pound, 11-foot-tall “thread screen” that turned Instagram posts tagged with #Forever21ThreadScreen” into a mosaic consisting of different colored spools. While initially created for a public space for everyone to see, the thread screen is located at the Breakfast office due to logistical reasons. Why It Worked: Forever 21 inspired its audience by cleverly combing social media and textiles. This was a surprising foray into the liminal space where virtual social identities meet the physical real world. The hashtag successfully streamlined the company’s broad user base with this specific, unique project. How cool it must have been for users to see their posts projected in such impressive array—a great incentive to connect to the brand. The trend-conscious and image-driven community of Instagram poses the perfect platform for upscale modern furniture retailer West Elm. Aside from West Elm’s own carefully curated posts showcasing their products, the brand also asks its 500,000 followers to share their West Elm purchases by tagging their pictures with “#mywestelm” in order to be featured on the store’s official Instagram feed—many of these user-generated posts are from interior design tastemakers. 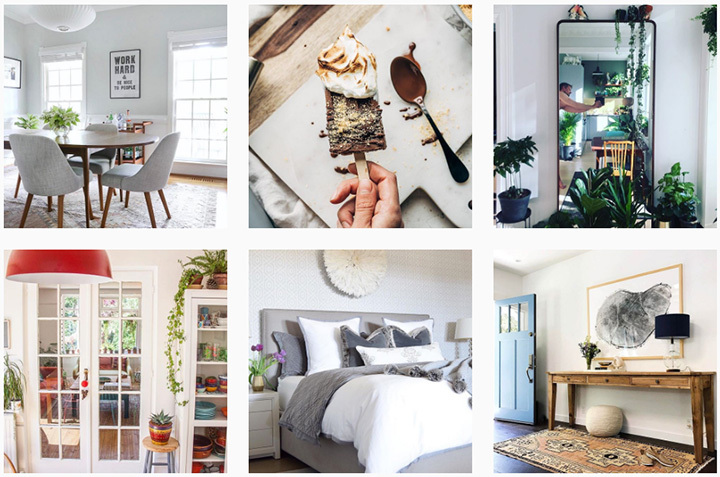 Why It Worked: Rather than just broadcasting content, West Elm engages users to connect with its products through Instagram. The resharing feature of Instagram supports users’ desires for social validation while extending the company’s reach. What’s more, West Elm demonstrates its Instagram savviness by providing value to their readers on their blog, with tips such as “12 Instagrammers to Follow in 2015” or “How To Take Great Instagram Photos,”—establishing the brand as an Instagram influencer. 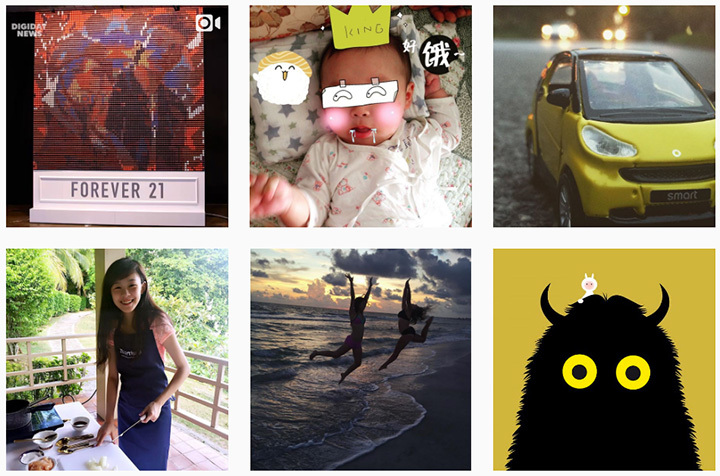 Instagram offers plenty of avenues to engage your customers personally with your brand. You need to find out which methods work best for you based on what appealing content you can curate to get people interested in posting, sharing, and following. If you use Instagram strategically, you can enhance brand exposure significantly and effectively direct users’ attention towards your product. Some of the above tactics are more involved than others, but the key is to post, comment, like, and follow regularly in order to offer users a unique social experience—whether you are a retail giant like Target or a local maker like DVRA. Remember, Instagram users love the app because it provides them with daily doses of artistry and enticement—give that to them and increase your chances at success.